Water retention in the abdominal area, also known as Ascites, occurs when fluids from the blood leak and begin to fill in the body's tissues. Herbal treatments and eating and drinking the correct foods can dramatically reduce water retention. Measure one cup water; pour into coffee mug. Microwave water on high temperature setting for approximately three minutes. Dispense two tsp. parsley leaves into hot water. Seep the parsley leaves in hot water for two minutes. Discard parsley leaves from coffee mug after seeping. Parsley is a natural diuretic that enables the kidneys to induce frequent urination to relieve water retention. Consume the parsley tea twice daily, at morning and night for best results. Measure one cup water; pour into coffee mug. Microwave on high temperature setting for approximately three minutes. Dispense four dandelion leaves into hot water. Seep the dandelion leaves in hot water for two minutes. Discard dandelion leaves from coffee mug after seeping. Dandelion enables to the body to release excess fluid and contains high amounts of potassium, an essential vitamin needed for proper body function, that many over the counter diuretics flush from the body. Consume dandelion tea twice daily, at morning and night for best results. 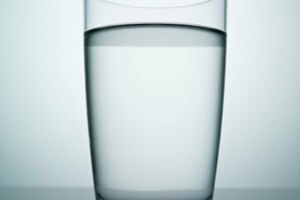 Consume a minimum of eight glasses of eight ounces of water daily. Water retention can occur when the system is not receiving an adequate water supply. This causes the cells to cling to any fluids in the body. 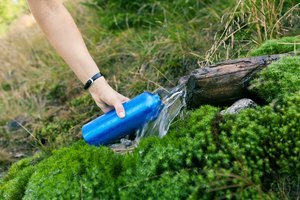 By drinking adequate amounts of water daily, the body is able to circulate the fluids through the system to reduce water retention. Consume foods that contain high water contents. Foods such as watermelons, asparagus, tomatoes, cranberries, and oats are natural diuretics that assist the body to flush excess fluids from the body. Limit sodium intake. Excessive sodium intake causes the body to store excess fluids. Limit sodium intake to no more than 2,000 to 2,500 mg per day. All ingredients can be purchased at your local supermarket and health store. Consume the tea twice daily until water retention reduces. All ingredients are safe and natural. 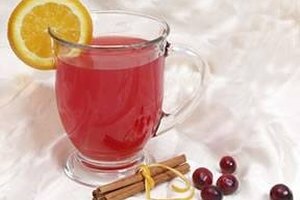 What Are the Health Benefits of Cranberry Tea?